You can choose whatever animal you like to be tangled. The best thing about creating tangled designs is having the privilege to follow your instincts. Although every stroke you make is deliberate, the patterns and designs you draw on your tile have an unspecified destination. Aimless is the word to describe the tangle method. Animals are great objects for tangling because they are highly symbolic. 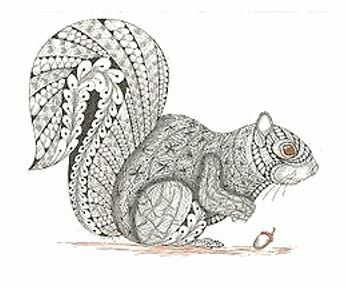 Once you have got everything ready, you can have fun emphasizing each animal’s extraordinary features through the use of tangled patterns and designs. Take a look at these creative tangled animal designs done by Zen masters. Figure 1. This giraffe are creatively tangled. Despite having filled with different patterns, the animal is still well emphasized. Figure 2. 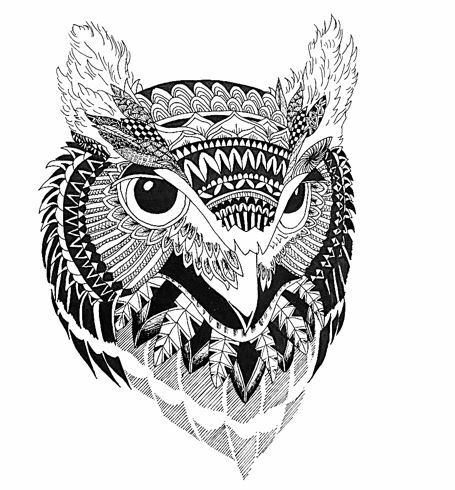 This Zen animal, an owl, is skillfully accentuated and tangled with rich patterns and shading. Tangle Your Way to a New Life. 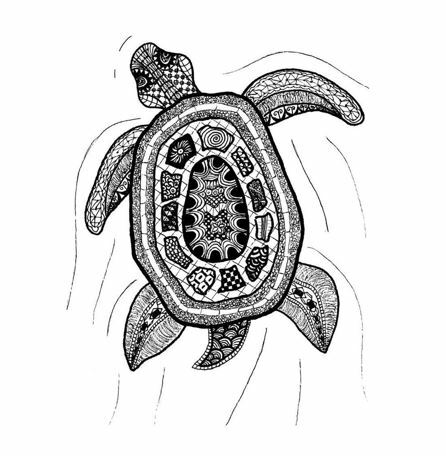 A lot of people’s lives have been touched by the Zentangle® method. There were individuals who have found Zentangling as a better way forward after going through some battles in life. People who were let down by misfortunes have managed to climb their way back to a better life after discovering the secret of tangles. Tangles take away your troubles. The lifetime benefits of tangling are for real. If you suffer from depression and feel like giving up on life, calm down, get a piece of white paper and a pencil and start drawing simple images of animals like fish, birds, frogs, dogs—the sky is the limit. Be patient as you apply slow careful strokes, shading, dotting, etc. Slowly, you can feel that comforting sensation penetrating into your soul while you concentrate on your designs. Tangling is a new method of unwinding. It takes you back to arts’ humble beginnings without the aid of technology. Like most arts, it is a healthy form of self-expression. It is a simple and ancient technique that requires the very basic materials such as paper and pencil. It entails no money but just your sheer dedication and determination. Tangles rejuvenate your mind, body and soul. Therapy sessions utilizing the Zentangle method have helped many troubled individuals regain their self-worth and strength to conquer the uphill battles and inner conflicts. You will notice the moment you start your tangles that you will feel happy and revived with each accomplishment. With every tile you finish, you are like taking one step at a time to a better and new YOU. Tangles can erase your shortcomings. The openness to commit mistakes and embracing of imperfections that you learn from tangling can develop your attitude to be more accepting of the world around you. Your tangles will be your constant reminder that there is always beauty in everything and that it is okay to have flaws. Humility, patience and hard work are qualities that you can improve if you engage in tangling. Tangles teach you to be keen and perceptive. Being familiar with various repetitive patterns permits your senses to also be more sensitive to what is around you. You easily notice things and their subtle patterns. If you see designs that interest you, the wise thing you can do is to always take note or draw it down on your paper. Collecting more unique patterns is another exciting thing about doing tangles. Once you become totally engrossed in it, it is hard to escape from its fascinating miracles. 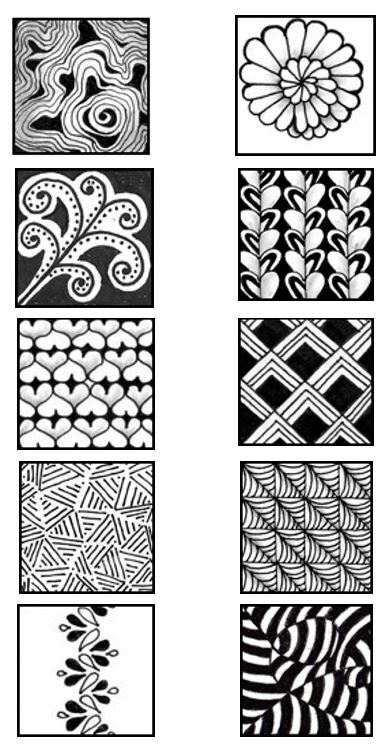 Here are several commonly used tangle patterns that you may apply on your design. These really amazing figures are derived from those created by Rick and Maria. Try to study these shapes and see if you can also create your own style. As an artist, do not limit yourself to using only these designs. Freedom is one of the privileges you get from tangling. Therefore, push yourself to the edges and establish your own original patterns. Always bear in mind that you are in-charge of your artwork. Keep your mind open to more possibilities that come and embrace them with all your heart. 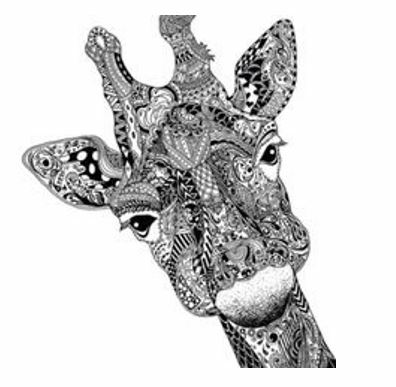 This entry was posted in Zendoodle as an Art on October 25, 2015 by Doodle Art Club.